Few things taste better than a pint of refreshing local beer after a bike ride—no matter what the distance. Take advantage of the San Francisco’s vibrant bike and craft beer scenes by planning your next ride to end at a local brewery. With more than 120 breweries and hundreds of miles of bike routes in the greater Bay Area to choose from, there are abundant opportunities to map a route that includes urban attractions and beautiful scenery, capped off with a finish at a brewpub or a great bar. Here’s a list of some of the best Bay Area bike rides that (not coincidentally) end up at favorite local breweries and bars for a well-earned pint (or three). With light traffic, smooth pavement, and a gentle grade, John F. Kennedy Drive through Golden Gate Park is a rider’s dream. Cyclists can cruise westward following the eucalyptus-lined road past attractions like the Conservatory of Flowers, the De Young Museum, and the historic windmills. In the spring, roadside blooms perfume the air. Closed to cars on Sundays, Golden Gate Park makes a great riding destination from anywhere in the city, and easily connects with other routes for a longer ride. At the end of the park, Beach Chalet restaurant and brewery offers riders the chance to refresh with a house-brewed beverage. With a dining room overlooking Great Highway and Ocean Beach, it’s hard to beat the view. Weary riders also have the option of lounging in the grass at Park Chalet, “San Francisco’s best coastal beer garden.” The brewery is known for its crisp California ales; try the V.F.W. Golden Ale, named for the surf spot out front, or the Riptide Red, also inspired by the conditions at Ocean Beach. 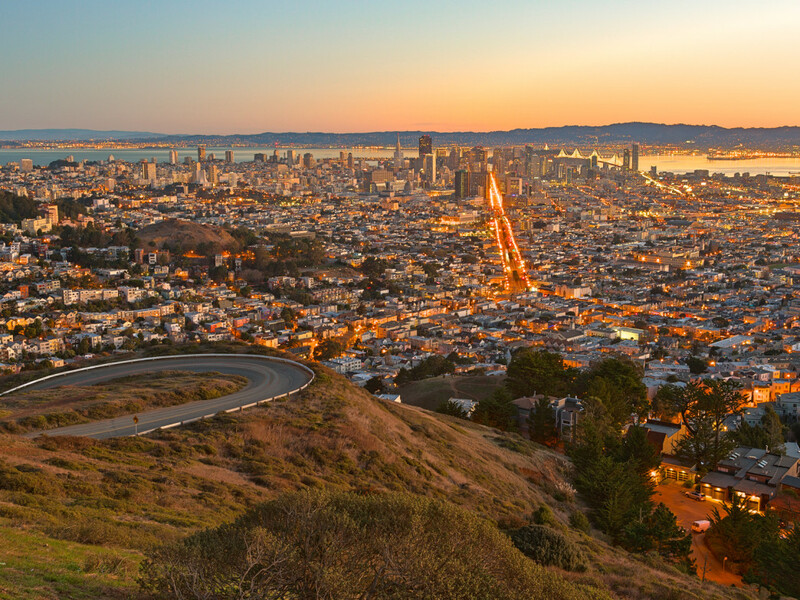 Combine two San Francisco classics by climbing Twin Peaks and rewarding yourself with a stop at Magnolia Pub and Brewery after you conquer the summit. Topping out at about 925 feet, the second tallest point in the city beckons riders in search of a quick but killer climb (cyclists also use the route to bang out hill repeats). After crushing the vertical and cruising the descent, Magnolia Pub and Brewery, a San Francisco standby since 1997, promises refreshment. Ascend Twin Peaks by winding your way up through the scenic neighborhood streets flanking the hill. As the houses drop off and the views open up, follow Twin Peaks Boulevard to the top. The summit delivers with expansive vistas of the city skyline and San Francisco Bay. After taking in the view, cruise down the north side of the hill to end up at Magnolia on Haight Street. 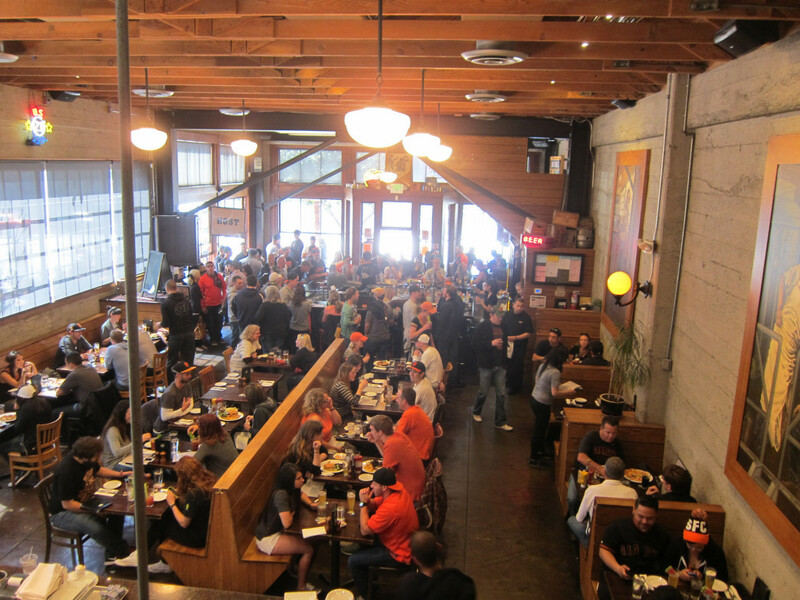 The Haight Street pub is the brewery’s original location; brewer Dave McLean used to make all of Magnolia’s delicious offerings in a cramped basement beneath the brewpub. If you don’t already have a favorite Magnolia Beer, you can’t go wrong with a pint of the Proving Ground IPA. Another post-ride option is to descend Twin Peaks and head west to sample Social Kitchen and Brewery’s equally delicious hoppy offerings. 21st Amendment’s Brew Free or Die, Hell or High Watermelon, and Back in Black IPA are San Francisco staples widely available in iconic cans (that you’ve probably seen strewn across Dolores Park after a sunny Saturday). Since you made the trek to the brewery, try something from the rotating assortment of tap beers, only available at the pub. Compared to some of San Francisco’s more central routes, a trip to Speakeasy is slightly off the beaten path. However, the location of the brewery makes for a great reason to get acquainted with the bike routes in the city’s southeast corner. 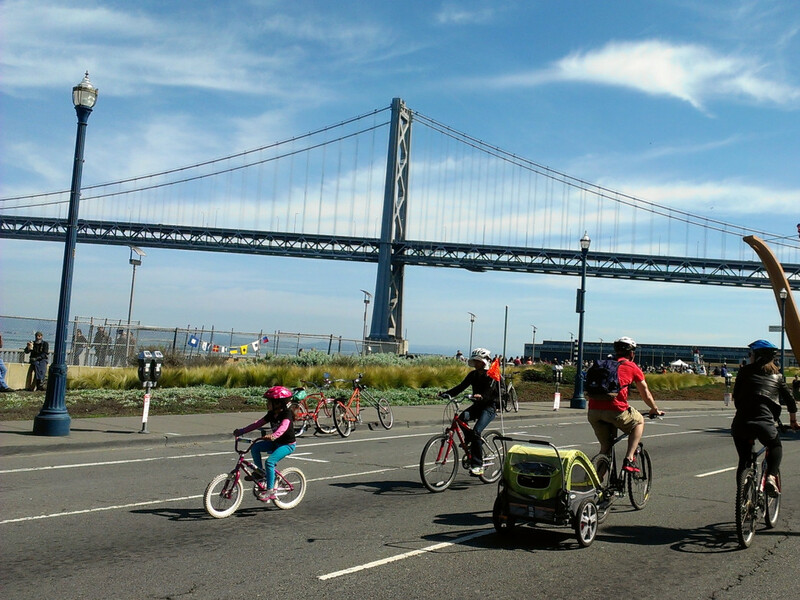 For a great five-mile ride, start along the Embarcadero near the Ferry Building and head south, enjoying views of the Bay Bridge and a designated bike lane. Follow the bike lanes past AT&T Park, across Mission Bay, and along the waterfront, until you reach Bayview-Hunter’s Point. Before you visit the makers of San Francisco’s best-selling Big Daddy IPA, stop by Heron’s Head Park, one of the few remaining wetlands on San Francisco’s shoreline. 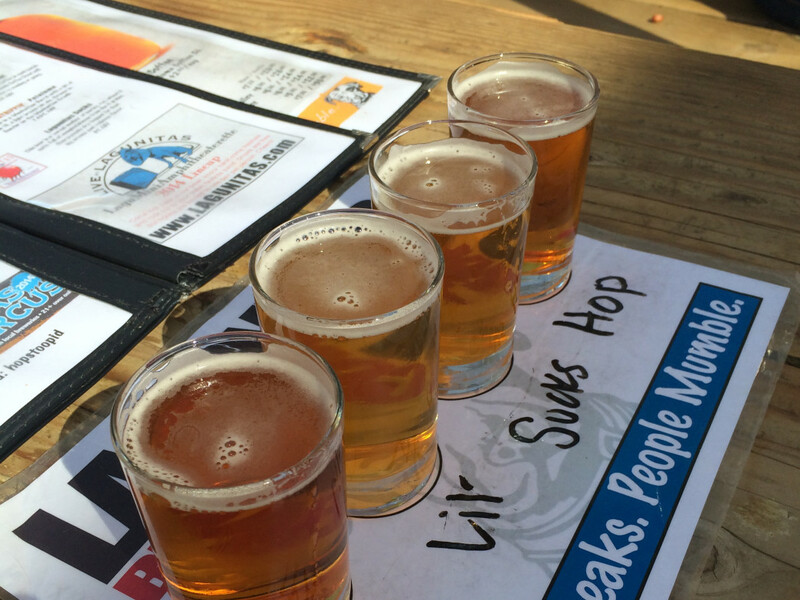 Once you’ve had your fill of bird watching, head to Speakeasy’s underground taproom for a sampling of some of their small-batch and draft-only offerings, and consider planning your ride for a Saturday for a brewery tour. 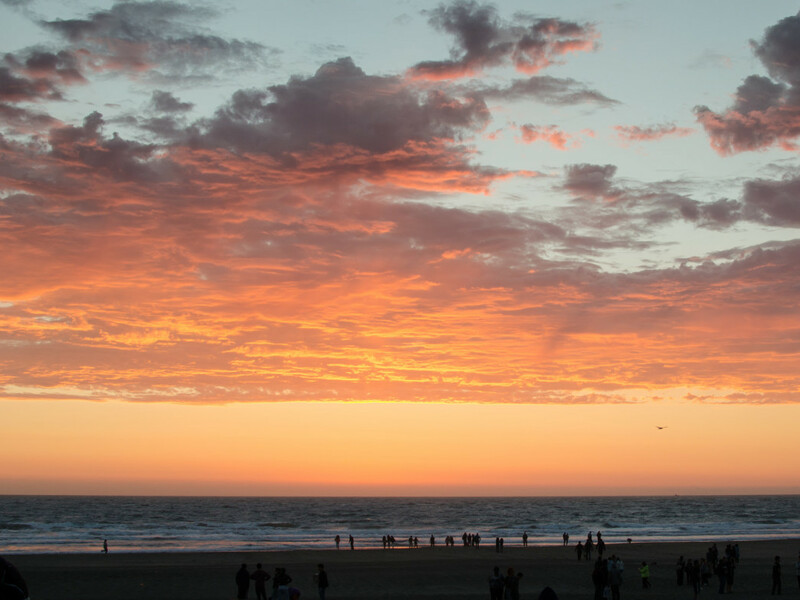 For a scenic ride along San Francisco’s western edge, follow Great Highway along the Ocean, heading south to Fort Funston. Save this ride for a day without wind, or prepare to battle to stay out of traffic and be blinded by sand blowing off the dunes. 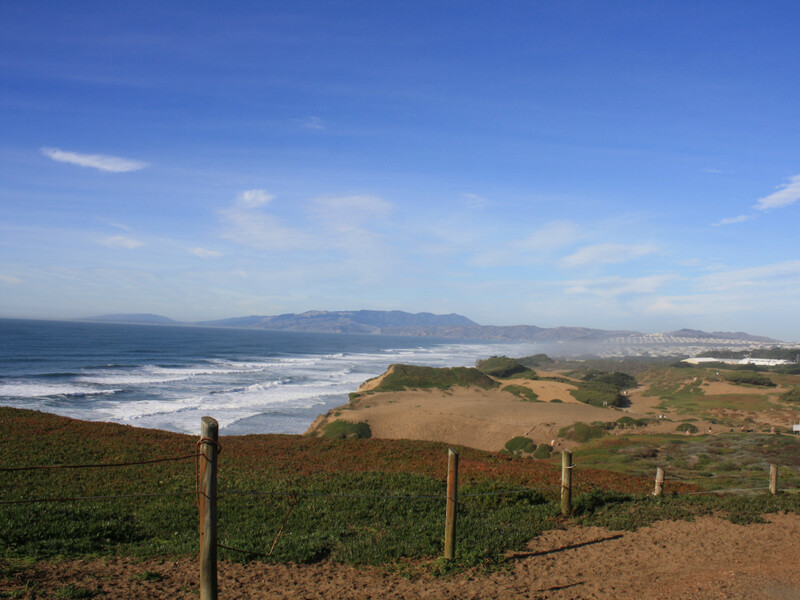 From Golden Gate Park, ride four miles along the ocean to the scenic bluffs of Fort Funston, overlooking the windswept Pacific. After enjoying the views, head back along Great Highway or trace the edge of Lake Merced, following your choice of the Outer Sunset’s picturesque neighborhood streets back to 25th and Noriega Street to find Sunset Reservoir Brewing Company, a newcomer to San Francisco’s brewing scene. Opened in 2015, the brewery offers seasonal comfort foods and five delicious microbrews. To make your way to the Lagunitas Brewing Company, follow scenic and well-travelled bike routes through quaint towns including Sausalito, Mill Valley, and Fairfax, eventually following Sir Francis Drake Boulevard until you reach the Nicasio Valley Road. This part of the ride winds through rolling hills and expansive farmland, passing the scenic Nicasio Valley reservoir before you turn toward Petaluma. 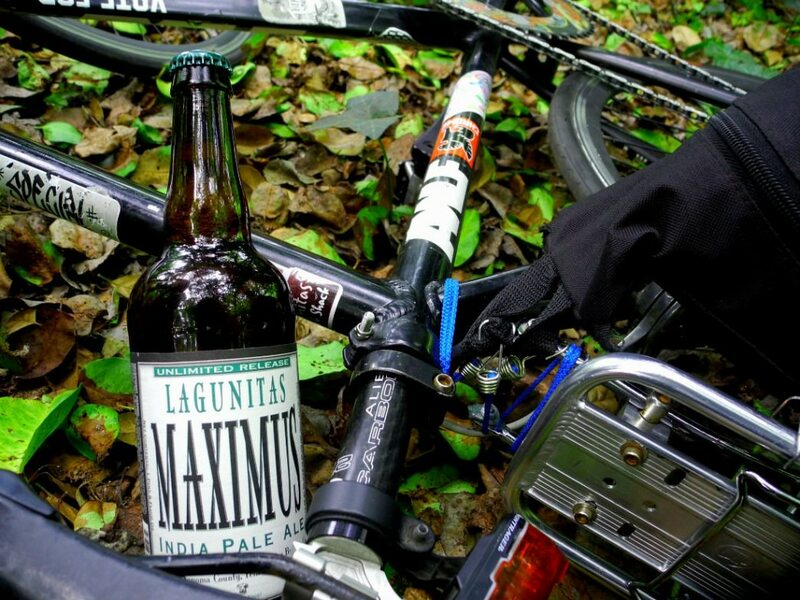 With almost 3,000 feet of climbing over the course of the ride, you will have earned your beer by the time you reach the Lagunitas Brewery. Hang out in the taproom or the grassy lawn that occasionally has live music while you enjoy classics like the Little Sumpin’ Sumpin' or quirky seasonals like the CitruSinensis Pale Ale.